One of the most important aspects of maintaining your vehicle, is having the oil changed on a regular basis. Since oil is the life blood of your car, it counts on clean oil for optimal performance. That is why it is essential to consider what type of oil you are putting in your vehicle. Not only does it matter how often your oil gets changed, by also whether you are using the most effective oil for your automobile. Valvoline motor oil has been around for over 150 years! Since its conception all those years ago, the experts at Valvoline have been constantly revising and reinventing this remarkable product ever since. A wide variety of different types of oil are offered to suit your specific automotive needs. It can be difficult to determine the effects your oil is having on your vehicle through observation alone. It’s not a like a car wash, where the results are apparent and very easy to see and assess. Fortunately, there are people that can do that for you. The expert technicians at In N Out Car Wash and Detailing Centre in Brampton are familiar with all the Valvoline products available and can recommend the most effective oil for you. If you are looking for an oil change, advice on the right type of oil, or any other type of automotive maintenance, then In N Out Car Wash and Detailing Centre is a perfect one stop shop. Oil needs to be changed consistently to keep your vehicle running smoothly and efficiently. 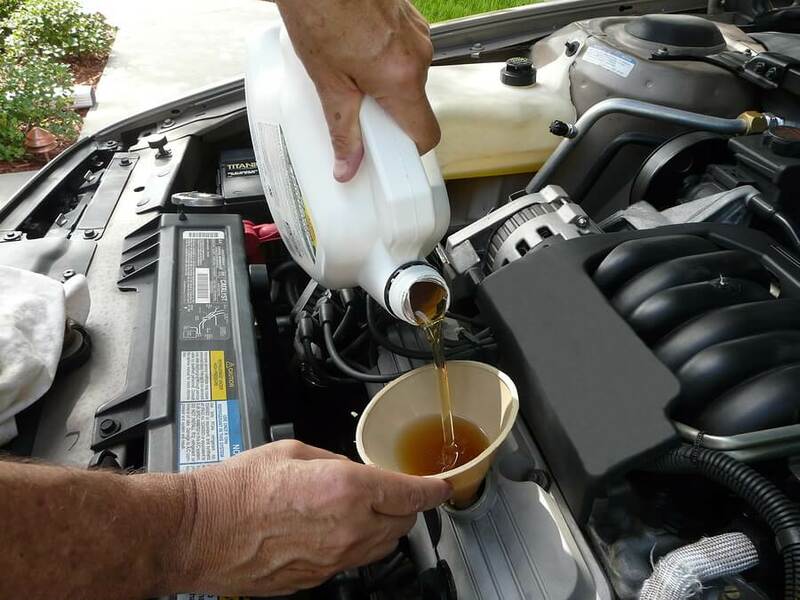 Over time, oil gets dirty and no longer provides the necessary lubrication for your engine. When this happens, it can result in serious damage to your car and a serious mechanic bill. Inspection points include tires, windows, battery, windows, belts, chassis, wipers, lights, air filtration system, etc. There are several different Valvoline products to choose from, but the goal is the same with all products. The aim is to achieve maximum performance and protection for your vehicle. This is a conventional oil that is taken from the ground and refined. It is designed to provide drivers with basic, fundamental protection. The next on the list is a synthetic blend, which will provide your car with both conventional and synthetic oil protection. DuraBlend is ideal for severe driving conditions. This product is designed to provide extra protection for older, used vehicles. It is recommended for automobiles with over 75,000 kms on them. It helps provide extra protection against engine breakdown. This is a fully synthetic oil which is designed to provide cars with optimal synthetic protection. The SynPower series is recommended for vehicles on the higher end of the spectrum. Keep your high performance vehicle running at peak levels with full synthetic oils. This is essentially your all purpose, top of the line oil. It is specially formulated to provide unceasing and ultimate protection for your engine. It provides the best protection available against engine friction, and wear and tear. In operates consistently in extreme weather conditions and severe driving conditions.